Game of Thrones returns for its eighth and final season on April 14, 2019. Don’t worry, all you die hard fans out there, HBO is already in talks for a spin-off! And if you just can’t get enough, check out some of the places that they filmed IRL. 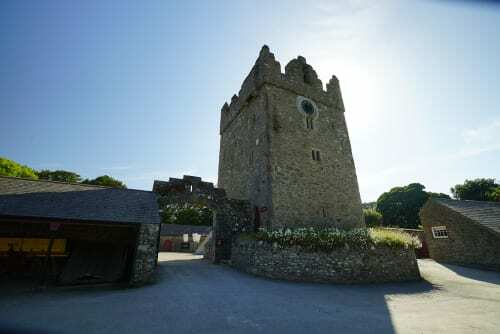 Head to Northern Ireland, Iceland, and Croatia for a peak Thrones filming locations. In addition, scenes are also filmed in Malta, Morocco, and Spain. Check some of our favorite filming locations, pictured below. King’s Landing, the Red Keep and Blackwater Bay are all fictional locations from Thrones that are filmed in Croatia. 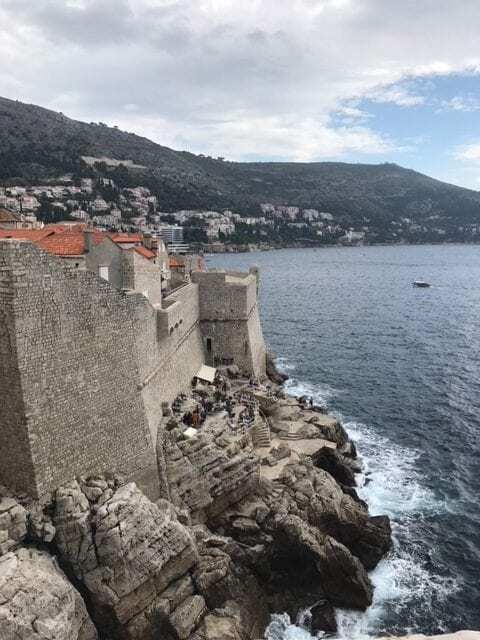 Our owners, Kem & Lori, got to experience a real-life King’s Landing in Dubrovnik, pictured above. The famous imperious walls are recognizable. The imposing walls surround the city and are up to six meters thick in some areas. It takes about an hour make the full circuit along the battlements of walls. This hour also gives you time to stop for the stunning panoramic views of the city and the Adriatic Sea. If you want to get the biggest bang for your buck when it comes to seeing Game of Thrones filming locations, head to Northern Ireland. Northern Ireland is home to several noteworthy places in Game of Thrones. These include the White Walker’s Haunted Forest, Eyrie, and Winterfell. Winterfell is filmed at Castle Ward in County Down, pictured above. Castle Black was also filmed in Northern Ireland, at a quarry in Magheramorne. HBO plans to turn several of these iconic locations into official Game of Thrones sets for people to visit, with full tours and more. Every since Game of Thrones first featured Iceland in season two, fans have been flocking to this little island in the north Atlantic. In fact, The Telegraph calls it the “Game of Thrones effect”, having played a key factor in the exponential growth in visitors to Iceland yearly. The number of visitors nearly doubled from 2011, with 566,000 visitors, to 2015, which saw over 1 million visitors. 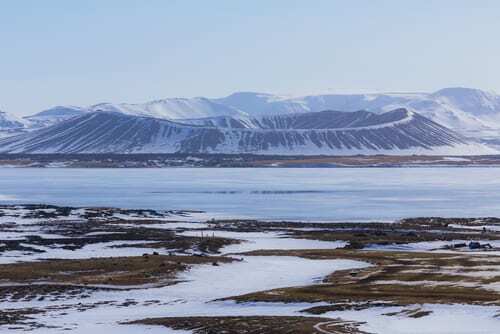 Most notably, you may recognize Lake Myvatn as the land beyond the wall. This is where the wildlings live on the show. Our travel expert Teresa traveled all throughout Sicily. The unique European city of Malta was the last stop on Teresa’s trip, which she took with her daughter Courtney. The British used to own Malta, so they speak English. Charmingly nicknamed Sicily’s “country next door”, it is actually located just South of Sicily. It is easy to get to from Sicily, and is a popular stop for cruise ships. Game of Thrones filmed in Malta in the first season. Before they moved King’s Landing and Pentos filming to Croatia, they filmed them both here. 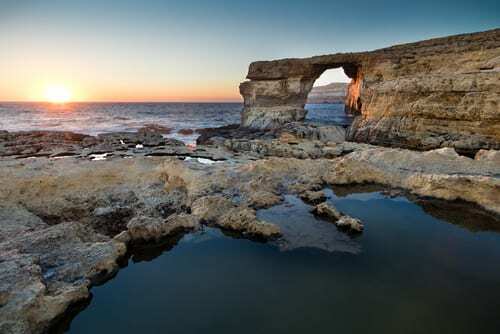 In addition, Daenerys marries the Dothraki warlord Khal Drogo here, at the Azure Window pictured above. The Azure Window actually collapsed in late 2018. 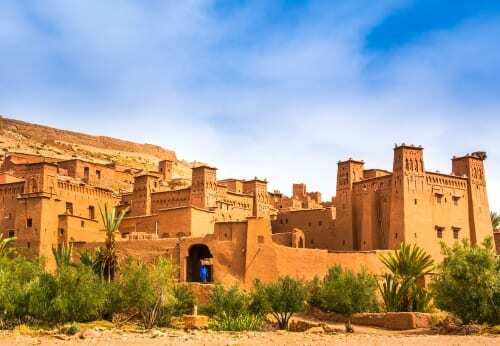 Morocco is home to the filming location of some lesser-known Game of Thrones cities. These include Yunkai and the slave city of Astapor. Astapor is where Daenerys frees the enslaved people of Slaver’s Bay. Ouarzazate is the city where Yunkai was filmed. Astapor scenes were filmed in Essaouira. Many of the sunnier locations and scenes from Game of Thrones were filmed in Spain. However, we did not see any scenes from Spain until season six, when Samwell Tarly returns to Horn Hill. His ancestral home was filmed at Castell de Santa Florentina in the town of Canet de Mar in the Catalonia. Other scenes filmed in Spain include the Dothraki Sea and the Tower of Joy. The Tower of Joy is where Bran Stark’s group hides for the night in seasons six and seven. Real fans of the show will get the most bang for their buck by visiting Northern Ireland. Not only is HBO turning some of the filming locations into real tourist sites, but many of the filming locations are within driving distance from each other. Call us today to book your own Game of Thrones getaway at 402-390-9291.